It’s the Salt Lake Gallery Stroll tonight, and since we’re heading into the holiday season, you can expect to find a lot of group shows with small work out there. But that’s not the case at all the galleries. At Sugar Space you can catch the closing reception for Bill Reed’s exhibit of large abstract paintings, including the 12′ x 4′ Climate Change Triptych (pictured above). We caught up with Reed in Montana during the Centennial Valley Arts Celebration, and witnessed how he used a wide range of tools to spread, whack and smear the paint across the surface of his paintings. 616 Wilmington Avenue in Sugar House. Open 6-9 pm. At Charley Hafen, make your way upstairs to find the work of Brad Slaugh, one of our Utah’s 15 Most Influential Artists. You won’t find his 33-foot long mural “Feast,” featured in this month’s edition of 15 Bytes, but his most recent class-portrait painting on display is still measured in feet rather than inches. 1409 South 900 East. Open 6-9 pm. Pam O’Mara’s Utah Artist Hands will be opening its new space adjacent to Michael Berry Gallery on Broadway. At 7:00 pm Finch Lane Gallery will be unveiling works created to honor former employees Kim Duffin and Ella Knight. 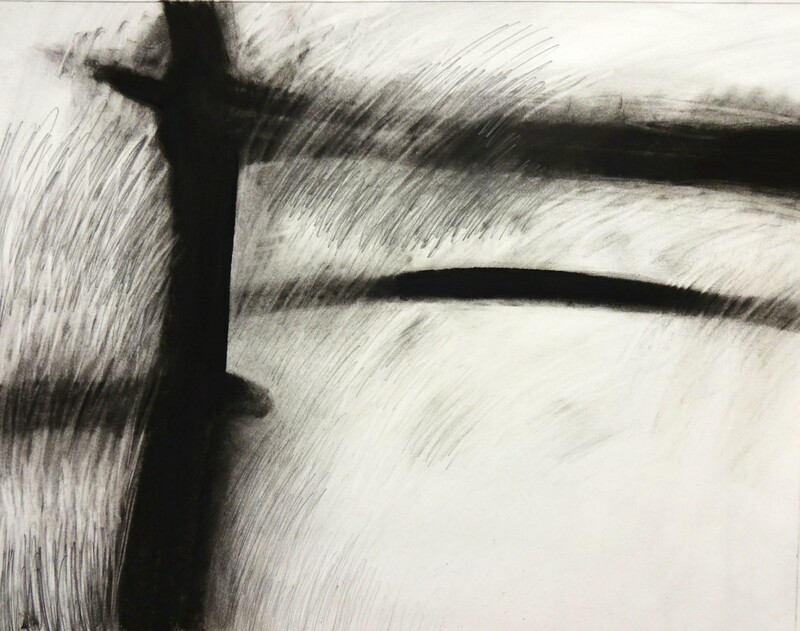 Alice Gallery will be opening an exhibit of drawings and mixed-media works celebrating the color black by Catherine Downing, Nancy Steele-Makasci and Tawni Shuler. And if you’re an artist looking for a studio, be sure to stop by Alderwood Fine Art, where they still have one space left. You can find all of our exhibition listings for Salt Lake on page 8 of the November edition. Love Bill Reed’s work. So vibrant and exciting. Made me happy to look at it. I was mesmerized!